Compactors are a safe, reliable and efficient way of compressing loose cardboard, paper and plastic films into closed skips. They provide housekeeping certainty and can be placed remotely from sensitive operational areas. They maximise the weight collected on each exchange thus keeping transport costs to a minimum. For mid sized and larger operations they are the correct balance between labour requirement and rebate achievable versus capital costs. We have many compacting Units located at various customer sites around the Midlands, Shropshire and North Wales and generally have units available in stock. Compactor Bins can be supplied for customers who have their own compactors and we will exchange these on request or on a schedule to suit. 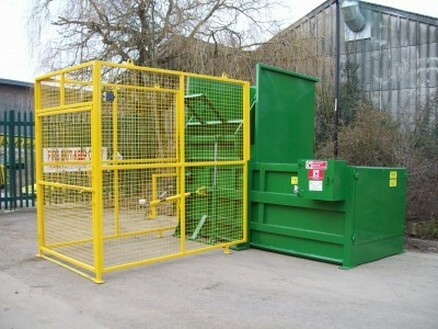 For larger sites with integrated air driven waste collection systems we can offer design, build and install solutions.